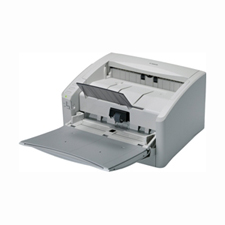 The imageFORMULA DR-6010C and DR-4010C departmental scanners deliver high-speed, reliable document handling and high-quality images in a small package. Flexibility, rich features, and ease-of-use help maximize return on investment at all levels of the business. The DR-6010C was developed to offer another option for decentralized capture scanning. In combination with its sister product, the imageFORMULA DR-4010C, these scanners offer competitive document imaging platforms designed to increase efficiencies and workflows in decentralized scanning environments. Reliable Feeding: Employ Canon’s advanced and unique feeding mechanism as well as such features as Ultrasonic Double Feed Detection and Rapid Recovery to ensure smooth and reliable document feeding. Combined with solid body design and heavy-duty feed and eject trays to help minimize downtime and help maintain business continuity.